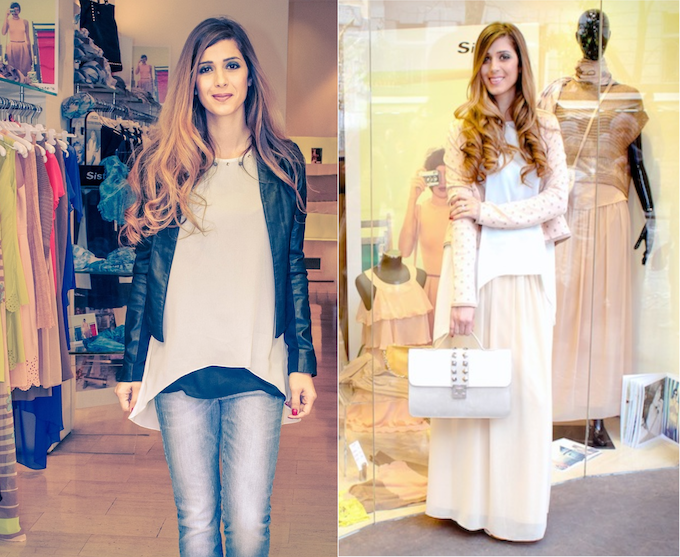 Siste's, my fourth and fifth look | Cosa Mi Metto??? Happy Saturday fashion lovers! What are your plans for the week end? Here are the last two looks I choose for Siste's competition, do you like them? one is pretty sporty and the other features neutral nuances. Check the others (first, second and third look) and let me know which one you love most! Buon sabato amanti della moda! Quali sono i vostri programmi per il fine settimana? Ecco gli ultimi due look che ho scelto per il progetto Siste's, vi piacciono? Uno è abbastanza sportivo e l'altro vede protagoniste delle nuances neutre. Guardate anche gli altri (primo, secondo e terzo look) e fatemi sapere quale vi piace di più! Io sono più per il secondo!! Mi piace davvero tanto e stai una favola fabri! Complimenti e buon week! I turn TO my BLOG!! I wait for you dear!! I like your 2nd look very much! Sei stupenda! La foto in jeans è la mia preferita! My first article for LeiDonnaWeb.it ! Win your sunglasses! With Firmoo.com and Red Head! Sono entrambi molto carini ma il mio preferiti è il primo, ti sta benissimo! Un bacio Fabrizia! Sono molto belli entrambi, non saprei scegliere! Bellissimo look! Ti preferisco in jeans ma sei sempre meravigliosa!! i love everythink on you! Estás espléndida con los dos looks....no sabría cual elegir!!!! Beautiful! You are really such as beautiful lady!!! bellissimo il look con la gonna lunga! i love the first one, it's nice on you! stai benissimo e sei sempre super bella!! I love the first look, it's casual but very chic, you look great on both though!. Following you now on bloglovin', have a lovely weekend!. The fourth look is great, gorgeous! I do like the casual leather jacket outfit! Adoro il secondo, e per sdrammatizzarlo un po' lo vedrei benissimo abbinato anche ad una sneaker!! A proposito visita il mio blog dove parlo proprio di questo!! Bellissima, basta non ho altro da aggiungere! Entrambi carini non riesco a scegliere.. I love both of these! The sporty one is my favorite but I would definitely wear both. Me gustan tus dos outfits, sobre todo porqué me encantan las piezas de arriba mas largas de atrás. You have a beautiful hair :D Loved the two outfits :) can we follow each other?? Thank you for sharing your opinions! I love the first look!!! Bellissima e molto fine ed elegante, mi hai colpito subito! Se vuoi passa da me su lostilediartemide.blogspot.it, ho pubblicato un post molto carino sulla moda anni venti! love all of them! but i think my fave is the one with jeans...so simple n easy n yet gorgeous! and your hair...just wow! !